After the breakup of the Roman empire, that northward migration saw the Germanic peoples (the Goths, Vandals, Franks, and Lombards) forge the rudiments of Western civilization, with the classical legacy of Greece and Rome to be rediscovered only much later. It would take many more centuries for the modern European state system to develop. Slowly, though, feudalism, whose consensual give-and-take worked in the direction of individualism and away from absolutism, gave way to early modern empires and, over time, to nationalism and democracy. Along the way, new freedoms allowed the Enlightenment to take hold. In sum, “the West” emerged in northern Europe (albeit in a very slow and tortuous manner) mainly after Islam had divided the Mediterranean world.Islam did much more than geographically define Europe, however. Denys Hay, a British historian, explained in a brilliant though obscure book published in 1957, Europe: The Emergence of an Idea, that European unity began with the concept (exemplified by the Song of Roland) of a Christendom in “inevitable opposition” to Islam—a concept that culminated in the Crusades. The scholar Edward Said took this point further, writing in his book Orientalism in 1978 that Islam had defined Europe culturally, by showing Europe what it was against. Europe’s very identity, in other words, was built in significant measure on a sense of superiority to the Muslim Arab world on its periphery. Imperialism proved the ultimate expression of this evolution: Early modern Europe, starting with Napoleon, conquered the Middle East, then dispatched scholars and diplomats to study Islamic civilization, classifying it as something beautiful, fascinating, and—most crucial—inferior. First Published: Fri, Aug 06 2010. We know what Hurriyat Conference wants: azadi, freedom. But freedom from what? Freedom from Indian rule. Doesn’t an elected Kashmiri, Omar Abdullah, rule from Srinagar? Yes, but Hurriyat rejects elections. Why? Because ballots have no azadi option.But why can’t the azadi demand be made by democratically elected leaders? Because elections are rigged through the Indian Army. Why is the Indian Army out in Srinagar and not in Surat? Because Kashmiris want azadi. What do Kashmiris want freedom from? India’s Constitution. What is offensive about India’s Constitution? It is not Islamic. This is the issue, let us be clear. The violence in Srinagar isn’t for democratic self-rule because Kashmiris have that. The discomfort Kashmiris feel is about which laws self-rule must be under, and Hurriyat rejects a secular constitution. Hurriyat deceives the world by using a universal word, azadi, to push a narrow, religious demand. Kashmiris have no confusion about what azadi means: It means Shariah. Friday holidays, amputating thieves’ hands, abolishing interest, prohibiting alcohol (and kite-flying), stoning adulterers, lynching apostates and all the rest of it that comprises the ideal Sunni state. Not one Shia gang terrorizes India; terrorism on the subcontinent is a Sunni monopoly. There is a token Shia among the Hurriyat’s bearded warriors, but it is essentially a Sunni group pursuing Sunni Shariah. Its most important figure is Umar Farooq. He’s calledmirwaiz, meaning head of preachers (waiz), but he inherited his title at 17 and actually is no Islamic scholar. He is English-educated, but his base is Srinagar’s sullen neighbourhood of Maisuma, at the front of the stone-pelting. His following is conservative and, since he has little scholarship, he is unable to bend his constituents to his view. Hurriyat’s modernists are led by Sopore’s 80-year-old Ali Geelani of Jamaat-e-Islami. Jamaat was founded in 1941 by a brilliant man from Maharashtra called Maududi, who invented the structure of the modern Islamic state along the lines of a Communist one. Maududi opposed Jinnah’s tribal raid in Kashmir, which led to the Line of Control, saying jihad could only be prosecuted formally by a Muslim state, and not informally by militias. This wisdom was discarded later, and Hizb al-Mujahideen, starring Syed Salahuddin of cap and beard fame, is a Jamaat unit. Maududi was ecumenical, meaning that he unified the four Sunni groups of thought. He always excluded Shias, as heretics. In part 1, I had explained why the Logistics Support Agreement between India and the US is held up due to turf battles within the Indian government, CISMOA & BECA are a different cup of tea. The grouse here is that they somehow “compromise” our existing tactical and strategic information sharing datalinks. That’s jargon for “if we sign this the Americans will snoop in on our most secret communications, divert our missiles mid flight, and worst case scenario pass on our shortcomings to the Pakistanis”. Some have even suggested that Russia will cancel its lease of nuclear submarines to us based on the signing of such a deal. These arguments are something of a sad, pathetic joke. Consider this – India’s Air Force One – the Boeing 737 business jet that our Prime Minister flies in – equipped as it is to launch a nuclear attack and the crown jewel of our “sovereignty” is already subject to CISMOA like provisions. Should the Americans have any doubts as to a security breach, they have to be allowed access to the plane. There is also equipment on that plane that Indian technicians are not allowed to touch. Also consider this – our prize electronic snooping capabilities – be it the airborne AWACS or more recently electronic intelligence gather aircraft are sourced from Israel a close US ally and virtually every product in our defence and space line-up has a compromised supply chain. As we now know from revelations in Yediot Ahronoth, Israel’s secret communications systems have been thoroughly compromised by a joint Anglo-American effort – to such an extent that Prime Minister Netanyahu feels exposed and insecure in his own office – an office that US technicians have no access to unlike our Air Force 1. Our cyber abilities are on display for everyone to see given how the Chinese hacked into every single computer in every single Indian embassy abroad, turning on the cameras and microphones at will. And guess what? Our own counter intelligence couldn’t detect the intrusion – it was an American commercial data security company that detected the bug in our computers. All this begs the question what exact capability do we have that isn’t already compromised to the Americans? In any case even if we go with the counterfactual delusion that we have capabilities that even the Israelis and Americans can only dream of then a cursory reading of CISMOA and BECA agreements with Sweden and Norway respectively should lay doubts to rest. Sweden has its own highly classified datalink – one of only 4 countries to do so (the US, Russia and Israel to a very limited extent being the 3 others). The Swedes configure a part of their fleet to be interoperable with NATO and US forces – thereby only requiring those parts of the fleet or geospatial capabilities to be exposed, and still allowing the rest of their capabilities to be shielded from prying eyes. In order to secure the Indian Akula submarine fleet and protect Russian equipment from spying all India has to do is to deny the Akula home base to the Americans, or clearly identify which months in the year US ships can visit base – when the Akula’s are not berthed. At any rate the alleged Russian “objections” are outright bogus. Interviews for this essay with high Russian defence officials in Moscow brought angry rebukes “when have we ever asked India not to sign this agreement? At any rate you have been using Russian equipment like the Kilos (submarines) & Talwars (frigates) in exercises with the Americans … Please don't blame us for your incompetence”. The “Doval doctrine” raises many worrying questions, especially when he pleads for an “integrated, synchronised” response to national security. It is a dangerous doctrine that has no place in a democracy with a long tradition of judicial fairplay. Last week, Prime Minister Narendra Modi's hyperactive National Security Adviser Ajit Doval gave what was innocuously described as a “briefing” to the Chief Justice of India TS Thakur and other Supreme Court judges on the “internal and external security situation”. A “briefing”? It sounded more like an indoctrination class for slightly dim pupils who had been upto mischief, and, worse, didn't seem to care about the consequences of their actions. Had they ever contemplated that they were undoing all the hard work the government was valiantly trying to do to protect the nation from its enemies within and across the border? Officialese is good at sanitising language. Which is why the bureaucracy loves it. Thus, “briefing” has a nice neutral ring to it. But in plain English, at least the “briefing” under discussion translates into something slightly more sinister. It took place at a judges’ retreat at the National Judicial Academy in Bhopal last Friday. All supreme leaders of China have either been generals or political entities in the People’s Liberation Army (PLA). But unlike his predecessors, Xi Jinping has taken much greater interest in matters military. Within days of taking over, Xi made high-profile visits to many army, air force, space programme and missile command facilities. Speaking to sailors on board the Haikou, a guided-missile destroyer, he said that his dream was of China to become a strong nation, and added, “To achieve the great revival of the Chinese nation, we must ensure there is unison between a prosperous country and a strong military.” Xi unveiled his plans to transform the PLA in the Third Plenum of the 18th Central Committee of the Chinese Communist Party on November 12, 2013. The first phase has been completed. The remaining changes are expected to be completed by 2021. The military reforms on the one hand are to transform the land-focused PLA into a well-trained, technologically capable, specialised force to meet the demands of the future battlefield. That would “lead to effective integration of the civil-military leadership, restructuring the military and its force level, and the teeth-to-tail ratio”. On the other hand, it involves some reshuffle of authority, aimed at enforcing discipline and getting a firmer grip on the military. In recent years, several instances of corruption in the PLA have been reported in the Chinese media: the worst hit being the system of promotion. Two former vice chairmen of the Central Military Commission (CMC), Guo Boxiong and Xu Caihou, were arrested and imprisoned. According to reports, 47 PLA generals were investigated in 2015. As one military expert noted, “If you have a military where you can buy positions, it doesn't matter if you have the best weapons in the world.” The anti-corruption campaign needed to focus on the issues of military discipline, inspections, audit and an independent judicial supervision. A new Commission for Discipline Inspection is being set up under the CMC to ensure strict discipline within the PLA. Xi has ordered the PLA to change its culture and adopt a style of frugality and austerity because ostentatious habits kill professionalism! 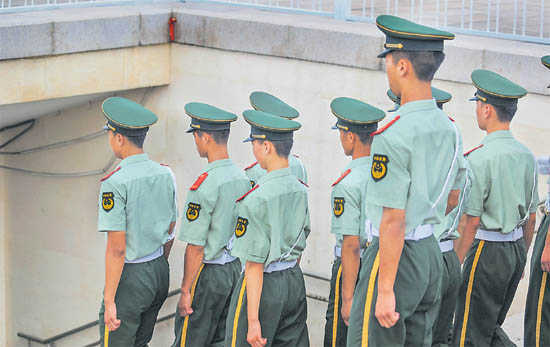 “Ten Regulations on Improving the Work Style of the PLA” have formally banned liquor at PLA functions, forbade holding of big banquets and called on the PLA brass to adopt a simple style in their inspection tours. Senior officers have been told to spend two weeks on the frontline as enlisted soldiers. Regiment and brigade commanders will do this once in three years, the division and corps commanders once in four years, and higher leaders from higher headquarters once in five years. Carl von Clausewitz, the young Prussian strategist of the Napoleonic age, is a giant in the field of security studies. His seminal work, On War, is widely considered the definitive text in understanding the nature of war. His famous quote, “War is the continuation of politics by other means,” is generally considered the cardinal rule for war—it is often quoted and equally often ignored in practice. So, it is unsurprising that contemporary Western strategists and thinkers look towards Clausewitz for answers and insights, but is he the only choice? In “What Would Clausewitz Do?,” Mark Perry explored how the Prussian strategist would tackle the challenge of the Islamic State (ISIS). Perry astutely emphasized the need for a clear, achievable political goal driving the war effort combined with a level-headed understanding of the war being fought. Clausewitz would be proud. However, Perry’s singular focus on the bare-fisted, no holds barred type of warfare is both mismatched to today’s socio-political climate and a woefully one-dimensional characterization of Clausewitz’s theory of war. Although frequently quoted, Clausewitz’s comprehensive theory of war is often misrepresented...or at least poorly understood in its entirety. Clausewitz provides the abstraction of absolute war as an intellectual baseline to highlight the utility and constraints of limited warfare in practice, as explained in Book One’s “Purpose and Means in War.” Contrary to popular representation, Clausewitz outlines a masterful theory of war where the grammar of warfare adapts and changes to the logic of politics—ranging from conventional warfare to counterinsurgency involving non-state actors. Thus, to reduce Clausewitz’s theory of war to a simplistic suggestion “to hit them, and relentlessly, before they hit us,” as Mark Perry suggests, is both inaccurate and provides a false strategic dichotomy. That said, however, Perry’s characterization of Clausewitz highlights the need to incorporate both nuance and a wider range of voices in the crafting of strategy. Thus, modern strategists should not be limited to the 18th century Prussian strategist for answers, but also look to the 5th century BCE strategist, Sun Tzu. India is playing the Uyghur card against China prematurely. We need to wait until we are in a stronger footing i.e. 10 years of seven to eight percent growth. On the other hand, we need to up the ante with Pakistan and play the Baloch and Sindh independence cards. External Affairs Minister Sushma Swaraj was right to raise the issue of the Chinese veto on declaring Jaish-e-Muhammed’s Masood Azhar as a terrorist when she met her Chinese counterpart Wang Yi. But beyond proforma protests, which the Chinese will dismiss skilfully, the time is not ripe for us to do anything about it. China can use Pakistan against us, but we are in no position to escalate the eyeball-to-eyeball confrontation right now. 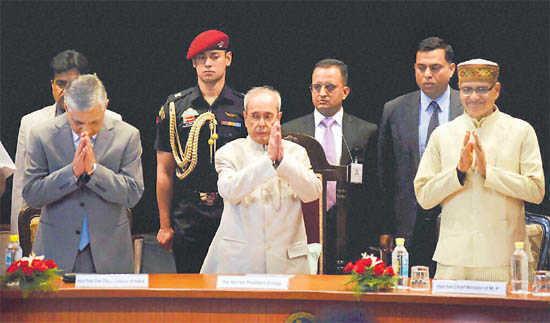 A report in The Times of India today (19 April) suggests that India may be going a step further to up its displeasure with the Chinese by allowing members of the Washington-based World Uyghur Congress to meet the Dalai Lama. But this is needless needling. It would be all right to play this card if India had already raised its power quotient to a level where the Chinese can’t do much about it, but not when our military and economic defences are barely in shape to deter them. When it comes up upping the ante with a long-term and determined adversary, the only right time to provoke is when you know he can do damn-all about it. We need to learn from the Chinese on how to do it – though we could learn the same tactic from our own Chanakya-niti. You can provoke only when you have the strength to do it. Even though it is unlikely that the Chinese will get into a military confrontation with India over our effort to play the Uyghur card when they play the Pakistan/Jaish card, this does not mean we should provoke without thinking of the end-game. Will inviting the Uyghurs to India make China abandon Pakistan or the Jaish? Unlikely. It is a weak card to play. Then there are problems in Brazil, with Dilma Roussef on the verge of being impeached. Brazil, once again, looks like the jibe by Charles deGaulle: “Brazil is the country of the future, and always will be”. Some think there is a methodical plan to overturn the Brazilian government, and I present this view without necessarily endorsing it. The reality is that Russia recently accomplished something that the US did not, and did not even seem to have the will for: the attrition of ISIS power in Syria. It is remarkable that this is not mentioned in the discourse on Putin. Also, there is a school of thought that suggests that the motives of the West are not all that clean in this pursuit of offshore tax dodgers: The Economist (oddly enough) suggests that the US is the “largest tax haven in history” or that is getting there. India, in the middle of all this, does look relatively unscathed, but one remains worried about the #Deepstate and its plans for the country. The Democrats have long been hostile to India (see a Wikileaks excerpt quoting arch-Atlanticist Brzezinski and the Hillary Clinton team, hat-tip to Arvind Kumar ). How much of the India-bashing (and Modi-bashing) is Hillary’s brainchild, and how much is Obama’s, we will never know. There is also the remarkable fact that there is no hint of Nehru Dynasty stashing of funds in the Panama Papers. I suspect the leaks are selective. In the latest usage of the US military, CNN recently reported that the White House was set to send another 250 special-operations troops to Syria to aid rebels. There is no indication that anyone in the House or Senate demanded answers of the president as to why he was deploying the troops, how much it would cost, or how long they would stay. There was no protest among the American people against sending U.S. troops to aid one side of a civil war. The major media outlets reported the fact but few, if any, challenged the purpose. In short, this deployment of lethal military force was merely the latest in an apparently never-ending line. The purpose, cost, and likely outcomes aren’t part of the conversation because they don’t matter. The act of deploying troops has become an end unto itself. In this political world of near-unprecedented polarization, applying lethal force to solve international problems has become one of the few areas on Capitol Hill where there is strong bipartisan agreement. In the White House, it appears there are only two camps in the formation of foreign policy: hawks and uber-hawks. For most of the past two administrations there appears to be no credible bloc of advisors counseling against the routine use of lethal military power. Curiously, even among the otherwise “liberal” and “conservative” television, radio, and print media, there is precious little in the way of challenging the administration or DoD on matters of national defense. Rarely do they pressure senior officials or generals to explain what the deployment is expected to accomplish, nor do they follow-up on those occasions when objectives aren’t met to demand they explain why the effort failed. Because neither elected leaders nor the media question the use of force, it's not surprising the general population isn’t demanding accountability. That is unfortunate, as this lack of scrutiny has allowed the president and other appointed leaders a free hand to use force on a routine basis. The consequences for American interests worldwide have been severe. In a presentation at the Cato Institute in Washington last Wednesday, retired Army Colonel Andrew Bacevich provided stinging—and quantifiable—evidence of just how bad the results have been for the US. Do we need Army Airborne? This question was raised by Kyle Jahner in the Army Times. This is not a new debate. In fact, it comes up during every period of defense downsizing. In Jahner’s article, the usual suspects and arguments are trotted out again: the high costs of maintaining airborne forces, the risks of using them in the face of increasing lethal air defenses, the lack of sufficient deployment aircraft, the lack of jumps much larger than a brigade since World War II, and the assertion that the 75th Ranger Regiment is sufficient for any probable airborne forcible entry operations. We’ve seen these arguments in longer form in Marc DeVore’s thoughtful study, When Failure Thrives: Institutions and the Evolution of Postwar Airborne Forces. The counters to these arguments are also familiar: The airborne forcible entry capability is a national asset, there is always an airborne brigade in the Global Response Force that can rapidly deploy anywhere in the world on short notice, and paratroopers are “double volunteers” (i.e., for the Army and for airborne training) and, therefore, elite light infantry. In short, the current discussion and doctrine for airborne forcible entry is centered on costs, risks, and existing capabilities —all of which limit operational employment. However, we believe that modernized airborne forces could be instrumental in solving a broader set of key problems policymakers face. Despite the increasing odds, the country’s success in its fight against extremism should matter to the entire world. “Offending religious sentiments shows a perverted mindset,” the Bangladeshi Premier, Sheikh Hasina, recently said at a celebration of the Bengali New Year on April 14. She was careful to add, however, that anyone “killing another person in response to what they have written is not Islamic”. The Prime Minister’s comments came just days after the killing of Nazimuddin Samad, a young social media activist, and capture the terrible duality facing this nation of 160 million, mostly Muslims, whose progressive aspirations are under threat from violent fringe elements like never before. The killing of blogger Avijit Roy in February 2015 brought the level of threat to the world’s attention; a series of subsequent fatal attacks have heightened the concern, in part due to the targeting of self-described or alleged atheists. It is not surprising that in a mostly rural country with low literacy rates, there is little comprehension or sympathy for anything intellectually as rarefied as atheism. But by targeting young freethinkers — atheist or not — the Islamists pose as defenders of religion, placing their progressive opponents on the defensive. This macabre scenario derives from an extended history of Islamist intrusion into Bangladesh. The importation of religion into politics occurred first during the military dictatorships of the 1970s and 1980s, and later under the auspices of the Bangladesh Nationalist Party (BNP). The last tenure of BNP (2001-06) saw the rise of state-patronised militant outfits such as Harkat-ul-Jihad-al-Islami Bangladesh and Jamat-ul-Mujahideen Bangladesh. In the interim, the influx of petrodollar funding for mosques and madrasas, and the presence of millions of Bangladeshi workers in West Asia, many of whom send back not just money but also conservative values, have fuelled reactionary attitudes. The Delhi Policy Group's latest report, Afghanistan 2016 Turbulent Transitions, was released on April 17 in Kabul at a function organized by the Afghan Institute for Security Studies, with a panel discussion by H.E. Andisha, Deputy Foreign Minister of Afghanistan, H.E. Manpreet Vohra, Ambassador of India to Afghanistan and General Karimi, former chief of the Afghan National Army. Reviewing the political, security and economic transitions in Afghanistan, the report notes the series of crises that have beset Afghanistan since the international drawdown and asks what regional governments and especially regional powers such as India, Russia and China can do to help stabilize the country and prevent it from becoming a sanctuary for terrorist groups again. Andrew MooreA flare used to burn off excess natural gas produced by oil wells, McKenzie County, North Dakota, 2014; photograph by Andrew Moore from Dirt Meridian, his collection of images made along the hundredth meridian, from North Dakota to Texas. The book includes texts by Kent Haruf, Toby Jurovics, and Inara Verzemnieks and is published by Damiani. An exhibition is on view at Jackson Fine Art, Atlanta, February 5–April 16.What should we think of a corporation that undertakes research on one of its products only to discover that its use could be damaging—and then tries to conceal the potential dangers of that product’s use? An investigation underway by New York Attorney General Eric Schneiderman promises to shed light on one such alleged case—concerning ExxonMobil, the world’s largest oil company, and the possibility that it misled investors and the public about the dangers of climate change. The story begins in mid-1977, when Exxon’s powerful Management Committee was briefed by James Black, a company scientist, on the potential dangers of climate change. Two years earlier, Syukuro Manabe of the US Weather Bureau and his collaborator Richard Wetherald had published the first computer model that estimated how a doubling of atmospheric concentrations of CO2 would affect Earth’s surface temperature. Their results revealed a “somewhat larger” warming of the lower atmosphere—around 4.3 degrees Fahrenheit—than had been anticipated. It also revealed that the polar regions were likely to warm two to three times faster than lower latitudes, and that worrisome disruptions to the global water cycle might result. The impetus for this landmark study came from the activities of the fossil fuels industry itself: in their introduction Manabe and Wetherald quoted a 1971 estimate by Lester Machta, director of the Air Resources Laboratory, that owing to the burning of fossil fuels, CO2 concentrations would rise by 20 percent by the end of the century. The Chinese military's recently regrouped Western Theater Command is composed of the air forces of the Lanzhou and Chengdu military area commands, the military newspaper reported Thursday. "Military officers are deciding whether to relocate as the air forces in the Lanzhou and Chengdu military area commands were combined to form the Western Theater Command," read a feature story published in the People's Liberation Army (PLA) Daily on Thursday. The Western Theater Command is located in Chengdu, Southwest China's Sichuan Province. China unveiled a long-anticipated plan to regroup its seven military area commands into five theater commands in February 2016, a move that observers said aims to beef up the PLA's combat capabilities and respond more efficiently through a joint command system to face the challenges of a new era. "Each theater command needs to focus on combat … enhance joint operations and command training, and seek to win the initiative in future wars," Chinese President Xi Jinping, also chairman of the Central Military Commission, said in February. "Each theater command needs to focus on combat, … and seek to win the initiative in future wars," Xi said. In a smartphone world it’s easy to see China rise, but have we forgotten our other senses? This exercise in think tank voyeurism has become a distracting mirage, from CSIS’s aerial photos of the Great Wall of Sand to the Lowy Institute’s Technicolor chart of China’s worldwide diplomatic reach. It’s all as eye-popping as Superman’s red cape:Look! China’s so high! It’s a carrier! It’s a plane! It’s Suuu-per Missile! And then RAND’s watchful eye scoops it all up, with a ringside boxing judge’s “scorecard” for all to view. Netflix claims 70 million subscribers in 190 countries, on par with China’s 162 embassies and 87 consulates. The global television network features shows such as Marco Polo, which follows the eponymous Western traveler struggling to understand China. If America’s still keen on rebalancing to the Pacific, maybe there’s something to learn from a company that actuated a successful pivot of its own, from the physical DVD disc to online streaming. We might use one red monolith to understand another in a modified net assessment, which Andrew Marshall defined in 1972 as a “description of the comparative situation of ourselves and our rivals” to highlight our “areas of comparative advantage.” So let’s put on those red-tinted spectacles. Netflix’s Daredevil is about a blind lawyer, Matt Murdock, who lost his sight at age nine in an accident, but was trained by a similarly sightless sensei named Stick into an expert martial artist. Daredevil sees without sight, having developed his other senses to the degree that they tell him much more about the world than a normally sighted person. When an opponent approaches, Daredevil hears heartbeats, gauges mood, calculates weaknesses, notices “tells” through sweat rates — he’s quick to understand threats with a penetrating, personal sonar. As a daytime lawyer, he possesses a strong analytical mind undistracted by vision and so easily differentiates the merely visible from the clearly important. New Case of Chinese Nuclear Spying in the U.S. In a case that sounds like the plot of an espionage novel, a naturalized U.S. citizen born in China was indicted last week on charges of illegally sharing information on commercial nuclear reactors with a major Chinese nuclear power company. The nuclear engineer, Szuhsiung “Allen” Ho, recruited a ring of nuclear engineers—unnamed in the indictment—to “unlawfully engage and participate in the production and development of special nuclear material outside the United States” and to help develop China General Nuclear Power Company’s ACPR-100, a small modular reactor design, and provide computer codes for modeling reactor operations. The engineers, one of whom was a senior manager at the Tennessee Valley Authority, were paid by China General, through Ho, according to the indictment, but it is not clear whether they understood that Ho was breaking the law. The charges come just two weeks after the White House hosted a summit on nuclear security that was attended by Chinese head of state Xi Jinping. “Budget is no issue,” Ho wrote to one of the engineers in an e-mail quoted in the indictment. China General Nuclear Power is also charged, along with Ho, with violating the Atomic Energy Act. The illegal technology transfers allegedly went on for nearly two decades. Many of the details of this extraordinary case, including just how the U.S. Department of Justice plans to prosecute a Chinese company, are not yet clear. Two aspects, however, are worth highlighting. First, as Bloomberg points out, China General is a state-owned corporation and a key player in China’s drive to become a leading supplier of nuclear reactors and components around the world. China General recently established a joint venture with China National Nuclear Corporation, another state-owned enterprise, to build at least 30 Hualong One reactors, a home-grown design, in Asia and Europe. China plans to open its first overseas military base in the African country of Djibouti. It's the same place where the U.S. has had its major African intelligence gathering base for the last 15 years. China is breaking ground on what may be its first major overseas military base. The location is Djibouti, on the coast of Africa, at the mouth of the Red Sea, looking across at the Arabian Peninsula. - in other words, a very strategic location. It is the same port city where the U.S. has its own major base in Africa that's been used to gather intelligence for the last 15 years. For more on China's military ambitions and why it shows in African cities that launch them, we're joined by our correspondents in Shanghai and Nairobi. That would be Frank Langfitt and Gregory Warner. Good morning. GREGORY WARNER, BYLINE: Good Morning, Renee. FRANK LANGFITT, BYLINE: Good Morning. MONTAGNE: And so let's start with you, Gregory. Djibouti - explain a little bit more why all these countries are there, because it's not just the U.S.
WARNER: Sure. No, it's not. I mean, Djibouti has an amazing location, as you said, but it doesn't have much else, and that's important. If you drive through the countryside, as I have, and you have to keep the AC on full blast, you'll basically pass mile after mile of just dusty, brown volcanic rock, you know, an occasional camel, a mosque carved out of stone, but not farms. Most of the food is imported. There's no oil, no natural resources. But Djibouti has two major advantages from a foreign military point of view. They have a very friendly, peaceful government, and they have this location on a busy shipping route next-door to conflicts in Somalia and Yemen - a short flight to the Middle East without having to be based there. And so the U.S. has its base there - its only permanent base in Africa - in Djibouti. France, Spain and Japan all have bases. And all this is on the invitation of the Djiboutian government, which really sees this as a key pillar to its economic growth. Former Florida Democratic Sen. Bob Graham told Fox News on Tuesday that the White House told him a decision on whether to declassify the documents would be made within 60 days. Graham helped lead a 2002 congressional inquiry into the attacks. The Bush and Obama administrations have refused to unseal the documents, arguing their release would jeopardize national security. Critics claim the reluctance is a calculated move to hide Saudi Arabia’s involvement in the al Qaeda terror attack that killed almost 3,000 people on U.S. soil on Sept. 11, 2001. Largely described as a power in long-term decline, the Russian military under President Vladimir Putin has embarked on a military modernization program that may be gaining the envy of some in Washington. Putin has invested billions, supported by revenues during the 2004-2014 period when oil prices were high. These efforts have led to impressive improvements within Russia’s conventional forces arsenal, especially its signals intelligence (SIGINT) and electronic warfare (EW) capabilities. Rushed to battlefields in Syria and Ukraine, these advances have been put on display for the entire world, a testing ground for Putin’s modernization program. In Syria, Russia has deployed Electronic Intelligence (ELINT) and SIGINT aircraft,such as the Il-20, an offshoot of the United States’ P-3 Orion, and the Tu-214R SIGINT targeting and collection aircraft. While in Ukraine, Russia has dominated the information space through a concerted effort of Russian hackers utilizing a form of denial of service attacks (DDoS) and hacking Ukrainian military and counterintelligence units. The Il-20, commonly referred to as the “Coot,” comes packed with an array of sensors, antennas, IR (Infrared) and Optical sensors, a SLAR (Side-Looking Airborne Radar), and satellite communication equipment for real-time data sharing. The aircraft is commonly used in the Baltic to spy on NATO member states and is currently rumored to be operating in Syria. The aircraft can be utilized to collect on enemy communications and detect signal emissions that can pinpoint large concentrations of enemy fighters. The newest Russian spy-plane, the Tu-214R, has ELINT and SIGINT platforms on board. It appears to have fairly effective long-range capabilities and circles in the sky in international zones or near borders with unfriendly countries. There are currently two of these in operation, and one was tracked to Syria. The Tu-214R, which is a variant of the Tupolev Tu-204, a twin-engined medium-range jet aircraft, can intercept signals from cell phones, planes, military vehicles, radios, etc. This helps pinpoint enemy locations as well as providing indications as to what kind of electronic capabilities the enemy is employing, and can provide an indication of the size of an opposing or rebel force. Cyber is a relatively new realm of security that states across the world have to contend with. From deciding what constitutes an “attack” to what constitutes a “proportionate response,” many states are still struggling to understand this new sphere. Such issues require international cooperation to establish new norms, and in a parallel effort, states are doing as much as they can unilaterally to defend themselves. However, Japan, in particular, is still lagging. Due to a variety of factors, Japan is uniquely underprepared for the cyber challenges of the 21st century, ranging from attacks by foreign quasi-state actors to theft by domestic criminals. One important factor that makes Japan so vulnerable is its economy’s heavy reliance on the Internet. According to Deloitte’s Asia-Pacific Defense Outlook 2016, Japan, along with South Korea, Singapore, Australia, and New Zealand, has a cyber vulnerability index nine times higher than their Asian neighbors. The index is based on a number of data points that measure internet-based economic interactions – such as the number of mobile phone subscribers, the number of secure Internet servers, broadband prevalence, and the rate of Internet use – and does not consider the effectiveness of countermeasures in place or the number of Internet-reliant military and government systems. Still, it provides a telling sign of how vulnerable Japan is. Another factor that makes Japan uniquely underprepared is the Japanese population’s indifference or misunderstanding of the issue. There are multifaceted causes, including the demographic reality that Japan is an aging society; a certain naiveté among the Japanese public at large; a culture of shaming victims that makes Japanese government and business leaders embarrassed to admit failure; and insufficient talent to meet Japan’s security needs. The annual #OpIsrael assault by the hacker group Anonymous was likely responsible for the recent shutdown of Israel Today's website. A tweet by Israeli Elite Force, a private Israeli hacker group that is fighting back, noted yesterday that "'Anons' got exposed by @Buddhax private hackersclub." The Facebook page for Madsec Security LTD further clarified that the "Israeli Elite Force group managed to steal sensitive information and screenshots of some Anonymous operators who participated on #‎OpIsrael operation against Israel earlier this month. According to the tweet, some Anonymous hackers fell into [Buddhax's] 'trap' as part of the attack against Israel on this day. Inside the PDF file, we find live screenshots from their personal webcams, desktop screenshots, sensitive information related to terrorism (ISIS, Syria) and even usernames and passwords to personal and sensitive accounts." The Israeli hacker known as Buddhax was able to expose the faces, names and addresses of eight hackers who participated in the latest attack on Israeli websites. Specifically targeted by #OpIsrael were the websites of Yad Vashem – Israel's Holocaust Museum, the Israeli Ministry of Education and Israel's Central Bureau of Statistics. The eight #OpIsrael hackers are from Indonesia, USA, Great Britain, Germany, France, Turkey and Lebanon. According to Mako portal, Buddhax claims that the Lebanese hacker is son of an official at Lebanon's Institute of Middle East Studies. This hacker was using the family computer to which other family members were connected. Buddhax used this breach to hack the website of the Lebanese institute. Already a year ago Israeli Elite Force released a YouTube video warning Anonymous of the outcome of their planned April 2016 cyber attack. "One year ago  you have declared war by starting the first OpIsrael. An operation that has failed miserably. Not only did you lie to your own followers about the outcome of the operation, but you have also made yourself an enemy which you cannot defeat. One year ago we took down your own website and the main site of OpIsrael. One year ago you have lost in a war that you yourself started. One year ago we have won … we are the Israeli Elite Force, and thou shall not mess with the best." 'Berylia' may be a fictional battleground but the issues involved are perfectly plausible. Tallinn will be the host of a giant cyber wargame this week. The world's largest cyber wargame will take place this week, with 550 security professionals from 26 nations battling over the computer networks of the fictional state of Berylia. The Locked Shields 2016 cyber defence exercise -- organised by the NATO Cooperative Cyber Defence Centre of Excellence in Estonia -- sees 20 'blue teams' representing 19 nations and NATO's Computer Incident Response Capability attempting to defend the systems and services of the fictional country from attack. More than 1,700 attacks will be carried out against the 1,500 virtualised systems the teams have to defend -- a variety of servers, online services and an industrial control system. And it's not just about stopping digital attacks: as well as handling and reporting incidents, the defenders have to solve forensic challenges and respond to the fictional media inquiries and legal issues that could crop up in a real incident. The annual exercise is organised in cooperation with the Estonian Defence Forces, Finnish Defence Forces, the Swedish Defence College, the British Army, the United States European Command and other organisations. While Berylia is a fictional state, the issues faced by the defenders are not. In 2007, Estonia suffered a sustained cyber attack, which saw hackers overwhelm banks, newspapers and government services after Estonia decided to move a Soviet war memorial. More recently, NATO updated its strategy so that a cyber attack on one of its members could be treated as the equivalent of an attack with conventional weapons, and trigger its collective defence clause. Meanwhile, hackers managed to cause power outages in Ukraine, increasing concerns about the vulnerabilities in industrial control systems. IS THE SMARTEST OFFICER THE BEST OFFICER? Stephen Gerras and Leonard Wong argue that officers should take the same test currently administered to enlistees in order to track intelligence longitudinally towards the goal of improving officer quality. This is a sound recommendation. As Michael Klein and I documented last year, there has been a steady decline in the scores of Marine officers on intelligence tests over the past three decades. In light of this and other research, I have previously argued for the military to administer the same test to officers that we give to enlistees in order to track intelligence longitudinally and improve quality. I would add some additional context and refinements to their argument. First, a technical issue: the AFQT (Armed Forces Qualifying Test), which they suggest using for all officers, has not existed as a separate test since 1972. Instead, the AFQT score is now calculated from the scores of several subtests of the Armed Services Vocational Aptitude Battery (ASVAB). Besides the fact that the AFQT is not administered separately, there is some evidence that the best predictor of officer aptitude involves using subtests of the ASVAB that are not included in the AFQT score. This does not change the validity of their thesis, but would change its implementation. To show that a new testing regime is needed furthermore, the current selection process must be insufficient. The authors do not cite any evidence for this, but it exists. For example, the Marines give an unchanging aptitude test to all of their officers. The scores have been declining for the last 35 years in a way that seems to be linked to the secular increase in college attendance. It was also shown that in 2007 35 percent of Army officers commissioned from OCSscored below a 65 on the AFQT portion of their ASVAB; this was up from 15 percent in 1997, representing a dramatic decline in intelligence for officers in a cohort other than the zero- or two-year ROTC scholars that the authors mentioned.